What are the signs of a defective knee implant? Knee replacement implants are touted as being able to offer a reduction in pain, an improved range of motion, and increased mobility for patients suffering from debilitating conditions such as rheumatoid arthritis, osteoarthritis, osteonecrosis, and post-traumatic degenerative problems. Total kn ee replacement surgical procedures are extremely popular, with more than 600,000 performed each year in the United States, according to the Centers for Disease Control and Prevention (CDC). Unfortunately, for some patients who undergo total knee replacements, the promise of an end to chronic pain and a return to a more active lifestyle just doesn’t hold true. Recently, patients implanted with knee replacement devices from manufacturers such as DePuy Synthes, Zimmer Biomet, Stryker Corporation, Wright Medical Group, and others reported serious complications and unusually high rates of failure. While research indicates implants last for approximately 20 years for 80-to-90 percent of total knee replacement patients, others report problems with their prosthetic joints as soon as a few months after surgery. If you’ve had total knee replacement surgery, here’s what you need to know. When a knee replacement implant fails, a doctor may suggest a revision surgery that involves removing the defective implant and replacing it with a new one. Defective knee replacement devices can harm the surrounding bone and tissue, and removing the failed prosthesis might cause additional damage. Depending on the severity of the damage, surgeons may have to perform a reconstructive procedure—such as grafting bone, or adding screws or metal wires—before they can place the new knee replacement implant. Not only are revision and reconstructive surgeries much more painful, invasive and complex than an initial knee replacement, but they also have lower rates of success. Having revision and reconstructive surgeries also exposes knee replacement patients to surgical risks such as blood clots and infection. Patients who notice signs and symptoms that could potentially indicate a defective knee replacement implant should contact their doctor right away. It’s important to assess the extent of the damage as soon as possible. To that end, doctors may order a battery of diagnostic tests, such as X-rays, an MRI, a CT scan and lab tests to screen for infection. If the knee replacement failure resulted in significant medical bills, pain and suffering, and other losses, the patient may also benefit from seeking the advice of a knowledgeable personal injury attorney with experience handling defective medical device cases. 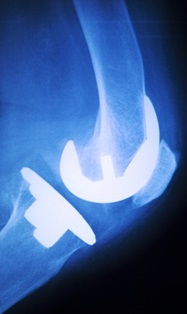 Are You Suffering From a Defective Knee Implant? McGartland Law Firm can help those who have suffered complications due to a defective knee replacement device such as the DePuy Attune® knee system or Exactech Optetrak® knee replacement implants fight for compensation for medical expenses, pain and suffering, and other economic and non-economic damages. Contact McGartland Law Firm today to schedule an appointment for no-cost, no-obligation initial case analysis. Do I Have to Sue My Doctor After a Medical Device Injury? Will Benicar® Be Removed From the Market? Why are women filing Taxotere® hair loss lawsuits? How long do I have to file a motorcycle accident case? What should I know about Praxada® bleeding injury lawsuits?